I’m a huge fan of Jayne Ann Krentz and I’ve read every JAK book I’ve been able to get my hands on. I pick up her old stuff whenever I run across it at a yard sale and I’ve got a nice little collection going–although even I admit some of the old stuff is very dated. However, I began reading Harlequin Temptation when I was thirteen-ish (snuck the books away from my grandmother’s house :-) I did put them back when I was through though! ), so I can handle dated. If you’re a new JAK reader, stick to the recommended stuff first. 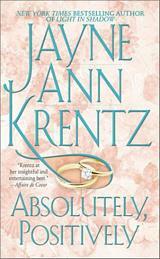 There’s a reason Jayne Krentz is a bestselling author. I don’t think there’s any other author out there in the marketplace like her, and that makes her books special to a lot of people. I also adore her Amanda Quick novels–even more than I love the JAK books. I’m actively trying to get the books listed in a way that shows the interconnections of the stories. Until recently, most Jayne Ann Krentz and her Amanda Quick novels have been stand alone, but she’s started the Arcane Society series of novels and these share much more in common. They’re still stand alone novels. 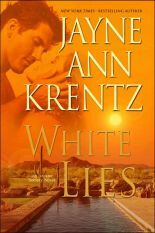 I read Sizzle and Burn before White Lies and both of those before any of the historical books written as Amanda Quick, and I didn’t have any problems keeping things straight. Also, I have some info about Jayne Ann Krentz’s pseudonyms on a separate page. When I think Jayne Ann Krentz, I immediately think about melting swan ice sculptures. Trust Me is the quintessential Krentz novel, with strong, distinctive characters, romantic suspense and mystery. I think the thing I liked best about this book was the hero, Sam Stark. He chose to show his affections to the heroine Desdemona Wainwright in several unique ways and although the technology used in the story has become commonplace, it’s still a story I reread and enjoy. White Lies is another favorite. I loved Jake and Claire, and this one had a good, strong plot to fill out the story. Then there’s Absolutely, Positively, Light in Shadow , Lost & Found, and Falling Awake , each of which I think are wonderful reads.